In 2006, I became the first Southern Baptist entity trustee recommended for removal of service by his fellow trustees since the Southern Baptist Convention was created in 1845. I sought to prevent the trustees from firing International Mission Board President Jerry Rankin and removing some women from leadership at the International Mission Board. Jerry Rankin's termination and the women's removal were orchestrated by Paige Patterson and his followers. They handpicked, vetted, and ultimately approved the trustees nominated for service to the mission board. The trustees received their marching orders from the President of Southwestern Theological Seminary. It was at my first IMB trustee meeting in the fall of 2005 when I overheard several IMB trustees discussing how they would accomplish their goals of removing Dr. Rankin and the women. I confronted them and told them that their informal trustee meeting - a meeting outside of established times set for business and without the presence of the full board - was in clear violation of the Blue Book, the policy manual for trustee conduct and behavior. I first went privately to the individual trustees and then to IMB trustee leadership to voice my concerns over the trustees' actions. I told them if it didn't stop, I would have no recourse but to make public what they were doing to the Southern Baptist Convention. The little sub-group of IMB trustees (all men) didn't like this "newbie" from Oklahoma interfering with their plans. They proceeded to play a game of Hard Ball Religion. A few of them clearly stated that their goal was to ruin my reputation, my ministry, and my family. I was told I would never speak again on a platform within the Southern Baptist Convention. They made it known they would do everything in their power to get me fired from the church where I'd been a pastor for over fifteen years. What happened during those difficult days made me the man I am today. I have no desire to get someplace else in life. I care little what people think of me. I want what's best for the Kingdom. Since 2005, I have probably written a couple of dozen articles that deal with Paige Patterson. Some people wrongly think I have a vendetta against Dr. Patterson. In fact, I respect the heck out of Paige Patterson. He's consistent. Yes, I believe he's consistently wrong, but at least he's consistent. He believes women have their rightful place. A woman should never teach a man. Women should never be in a position of authority over a man. That's why Paige Patterson fires women from positions of leadership. Women should always be quiet and submissive. That's their God-given role. That's why Paige Patterson would send a woman back to her abusive man and never apologize. In Paige Patterson's world, only men have God-given authority. Only men can rightfully lead. Paige Patterson also believes tongues have ceased. Anyone who speaks in tongues is not gifted by God to speak this way, but in fact, may be under the influence of Satan. That's why Paige Patterson wanted to get rid of Dr. Jerry Rankin. Dr. Rankin spoke with tongues during his private prayer times. Dr. Patterson's expressed desire to one day be the President of the International Mission Board before retiring from Southern Baptist service. That may have been Patterson's ultimate goal, but it was Rankin's "doctrinal error" on the issue of tongues that became the sacred means to move forward. Fire Rankin. Remove the women. Nothing personal; it's doctrinal. Paige Patterson behaviors back in 2005 were consistent with his beliefs. It wasn't personal to Paige Patterson. It never is. It's always his convictions. Paige Patterson believes he's doing God's bidding. He is a Fundamentalist in every bad sense of the word. The real problem is Southern Baptist pastors who are just now expressing outrage about Paige Patterson's words and conduct towards women. He's not going to apologize. In his mind, he's done nothing wrong. You men have been around Paige Patterson. He's consistent as heck. He's been saying these things for years. Where were you eighteen years ago? Gentlemen, the Southern Baptist Convention has been denigrating women for decades. When Southern Baptist pastors exclude women from leadership because of a wrong belief that the New Testament teaches "women are not to have 'authority' over men" (which is what Patterson believes), then the simple outgrowth of that belief is to send a woman back to her abusive man and tell her to pray. Yes, that's sick, but it's the logical outcome of a false belief. The real problem in the Southern Baptist Convention is a doctrinal problem. Southern Baptist pastors are infatuated with and captivated by authoritarianism. Men have authority; women don't. 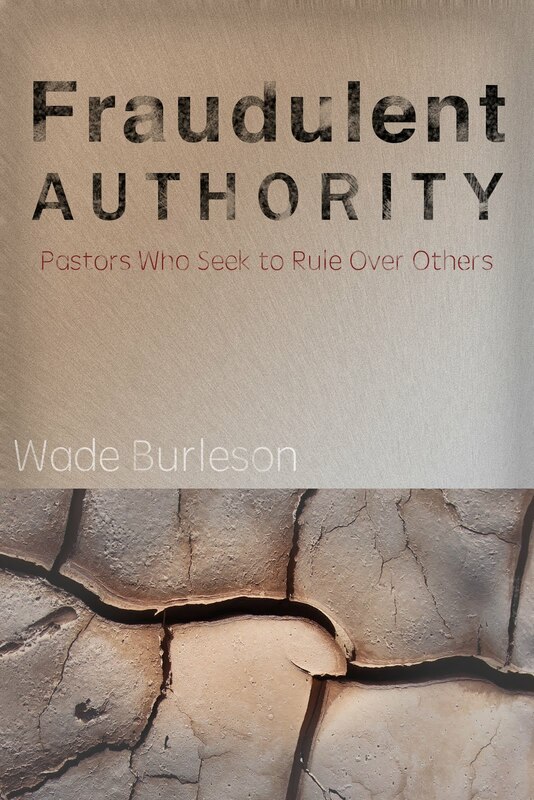 Preachers have authority; laymen don't. "Do what I say because of the position I hold!" these male pastors will say to anyone who will follow them. "Do what I say because I'm your husband!" I'm a man! We have a problem, Southern Baptists. Southern Baptist pastors either better correct this false doctrine about men having alleged spiritual authority over women, or Southern Baptist pastors should resign in mass with the man you call the hero of the Southern Baptist Convention. He's a Fundamentalist. And Fundamentalism is a religion of a different ilk than the teachings of the New Testament. 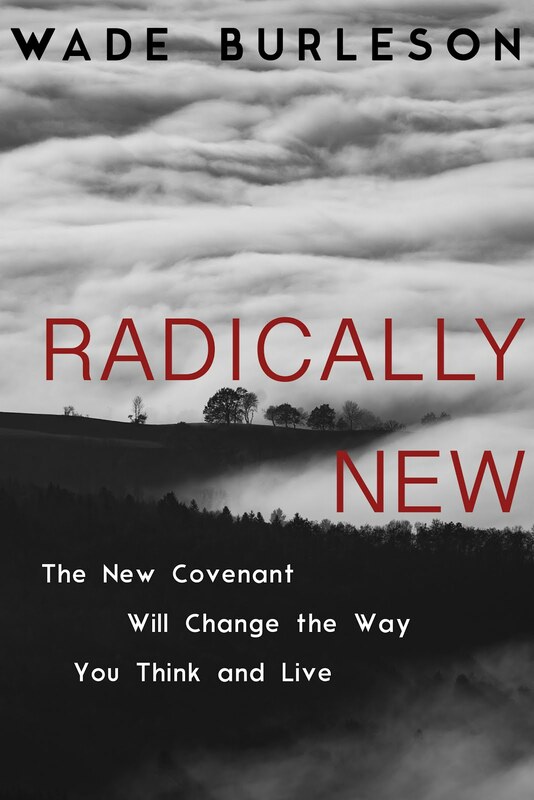 As for me, I will continue to seek to reflect the New Testament teachings of Jesus Christ and be Christo-centric in my beliefs and behavior, refraining from replicating Old Covenant Temple worship in my church - and do everything in my power to make sure the SBC reflects the same Christo-centric, New Covenant view of women. No problem believing differently than I within the Southern Baptist Convention. The SBC believes in liberty! Just don't tread on women. That's an order from Jesus. Ladies, if you agree there needs to be a course correction in the Southern Baptist Convention, sign the online petition. Unbelievable. Some of these guys infuriated with criticisms of Patterson were spewing venom against his detractors at the beginning of the week and are now signing petitions for his ouster by the end of the week. A lot of words come to mind but courage and integrity are not among them. Absolutely the problem is doctrinal. Why else would many like myself spit on the 2000 BFM? Patterson? He is NOTHING compared to his uocoming SBC Dallas co-speaker, Ravi Zacharias, who recently had an online affair with a married woman, threatened suicide IN WRITING when she intended to confess to her husband, failed to report it to his Board until she threatened a lawsuit, lied in his Dec 3 Christianity Today statement about the affair, and has lied for nearly 40 years about his academic credentials, and evangelicals have known about it all. Shameful! How did churches vote and tell their delegates to vote?? There was griping but that’s all. A lawsuit should have been filed against the SBC for allowing PP to get away with it. SHAME ON US. Will there be any motion or resolution to be voted on in the SBC meeting this year to deal with “The Real Problem in the SBC”? BTW, there’s a word missing in your quote of Matthew 20:25-27. Thanks for the typo correction, Rex! Until these pastor friends of mine realize their doctrinal problem, no real change will come. Steve - I'm saving a piece on Ravi - it's coming. The more I look into what he did to that woman, the more nauseated I'm becoming. Unbelievable that he sends a note to her threatening he will commit suicide if she doesn't comply to his demands. Thank you for your faithfulness of this. Good stuff. I always tell men that biblical authority over does not mean "Power over." Actually, if you strive to have power over your wife, you are living out the curse God gave man, that he would lord over his wife. I always ask them to look at how Jesus defines leadership: Leadership equals servant(Luke 22:25-26). So, when you have authority, that means you have the authority to serve. Thanks Wade that helps me understand your position much better...I would like to know how they would respond to it.....trust your heart....thanks. I would like to know do you believe that a woman can be the lead or head pastor of a church....like your own?? I had a female professor at swbts in 82 teaching biblical backgrounds...under Dr. Dilday.. I believe that women should serve as they are gifted, and if a local church places a gifted teacher in a position where he or she teaches men and women, then that's the local church decision. In our church, pastor is a verb of service, not a noun of status. In the denomination, it's the opposite. RE Petition, it's growing at about 2 signatures every 30 seconds. Probably missing women who WOULD participate due to this condition: "...who affirm the Baptist Faith and Message 2000, including its statements on the roles of men and women in the family and in the church." Men AND women are signing the petition. Very brave. Exception being those "brave" souls who started last week by calling down fire on the critics of PP and ending the week by signing petitions for his ouster. Some names on that list represent CYA as opposed to courage or "bravery". Thanks again Wade for you ministry and blog.. My wife and I enjoy them both immensely ..through E-church when we cannot get out.Your comments about Gender remind me so much of Gordon Fee and his writings etc. Is it just me or has it gotten to the point where Dave Miller is so paranoid he is actually afraid to print or post any comments but his own? Wade, my wife and I bear witness to your statement that the SBC "has been denigrating women for decades". She is a pastor and Bible teacher. With Southern Baptist roots dating to the 1950's, we are now outside of the camp, as are the families of all women pastors (except those in hiding). These voices will not be heard on the floor of the convention in Dallas. SBC Voices are male voices. We will attend the annual meeting in Dallas online. We are watching God's judgment unfold from the outside, knowing it is not so clear to many of those on the inside. We are thankful for your voice, and will be praying for you as you lead the sheep that you have been entrusted. An aside: Do you know if Ellen Di Giosia's church will be sending messengers to Dallas? I'm going to respectfully disagree with Wade re the ordination of women. I've learned much from him, and am not a fundamentalist by any stretch of the imagination. I am currently in a denom that will ordain women, though my pastor is male. I am still under conviction that scripture forbids women as pastors, and forbids for the record many men currently being ordained also. 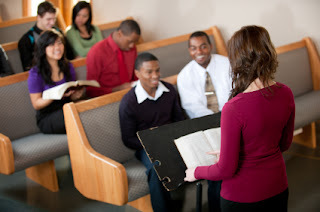 I had had women pastors in the past, and male pastors that did not meet scriptural qualifications. Having lived through those debacles, I don't think I ever will sit under one again. Female pastor, or unqualified by scripture male pastor. And if the PETITION doesn't bring reform, the POCKETBOOK certainly will. Funny how that happens...when the giving recedes, you start to see how deep "convictions" like complementarianism, really run. Someone signed the petition as Dorothy Patterson from Fort Worth. Thanks for your comment. Respectfully, I don't think you know what I believe about "ordination." We don't ordain MEN or WOMEN. We don't see it in Scripture. We LICENSE men and women because the STATE requires it. Ordination gives the idea of power and authority, and we look for servant's hearts, humble spirits, and giftings of the Spirit. And we believe shepherding, pastoring, mentoring, discipling, bishoping, etc.. are all VERBS of service, not NOUNS of status. So the idea of ORDAINING men and/or women is distasteful for me. We do neither at Emmanuel Enid anymore. This is the best post you have written on the entire situation. Great clarity on not being against Patterson, but against the belief. This post will make the most influence. Someone also signed as Rick Patrick from SBC Sylacauga AL. I will have to hear that confirmation straight from his mouth or penned by his hand. I believe supporters of PP are signing the petition with "false names" in order to eventually call into question the validity of the petition. Wade, I am in total agreement re not ordaining. But whether we call it ordination or licensing (my pastor is a licensed local pastor)or electing to fill a position or whatever it is, this is one of those places where we will have to agree to disagree. I believe women do not belong in the pulpit or pastoring a church because I believe the Bible forbids it. If Immanuel Enid were where I attend, and if they fired you and hired a woman preacher, or a male preacher who did not meet those very tough scriptural requirements, I would find myself an "elsewhere" to worship. Freedom is really a two way street. Your church cannot be free to put whoever they want in the pulpit unless the SBC is also free to not let you wear the title SBC any longer. It gets messy, but either both sides are free or no one is. That's what I needed to hear and apologize publicly to Rick Patrick if his signature is plagiarized. Wade, my experience in attempting to appeal to cogent rationale and conversation with Dave Miller is like talking to brick wall with a censor button. Waste of time. There is a reason they call that rag PRAVDA. He is happy with afollowing of 3....as long as they agree with him. Hope he gets well soon however. I also hope that David Miller gets well as soon as possible. His situation sounds serious and worrisome and I'm hopeful that the whole blogging community, whether they agree with David or not on issues, will take some time to pray for his healing and return to good health. I’ll name a few lies I recall Patterson telling. 2.He told my sister that Burleson’s blog was NOTHING but lies. 3.He said the greatest need in America was for every boy to have a dad, a dog, and a gun. 4.He told Dr. Klouda her teaching position was safe. 5.He said the podium of a woman speaker was contaminated. 6.He got caught telling a lie on a German Professor who was in the BWA. 7.He said the BWA was gay friendly. I respect Patterson like I respect skunks in their ability to throw stink. "The real problem in the Southern Baptist Convention is a doctrinal problem." To me, the worse aspect of this is that I don't believe it is a doctrinal problem or an issue of men thinking that they have authority over women because of their interpretation of Scripture. I believe that the problem lies in the hearts of men in leadership who allow themselves to be the slaves of bullies, or as they call them in the "Christmas Story" movie, "toads"; the guy who hangs out with the bully and joins in his bullying tactics. I think that if Paige told these trustees and leaders that it was okay for women to be teaching men, the majority of them would go along with that. "Toads following the "bully's" lead. The real issue is who is in the driver's seat. This proposes, of course, that the problem is a rotten core. The evidence portrays that God's Holy Spirit is not in the driver's seat. I am not judging by saying that; only observing the fruit. I’m one missing for that very reason. I can’t sign because I can’t affirm the BF&M 2000s views on women’s roles. "4.He told Dr. Klouda her teaching position was safe." Yes. And she trusted him that his word was good. When I heard her story, I wondered what could he possibly have in his head (or heart) that could justify such a betrayal? I read glowing testaments of his work from many sources, but I cannot forget Dr. Klouda and her difficulty at his hands. That, for me, 'trumps' who he is at heart. . . . there is no provision in the Holy Gospels for any Christian to treat another human person like that, no. "A few of them clearly stated that their goal was to ruin my reputation, my ministry, and my family." That is so wrong on so many levels. In my mind that is grounds for disqualification from any position of leadership whatsoever. I like that Proverbs 6 passage and find it interesting that God lists 6 things (let's say actions of men) which He hates but the 7th is an abomination. And the 7th is not the action He hates but the "person" who does the action. v. 19 specifically. Lot's of discord being sown in "ALL" of this. I failed in giving credit to Patterson in accomplishing only “A lying tongue” in Proverbs 6:17-19. I wasn't speaking of Dr. P. I am one who tries hard to not speak of people but speak to people when I am addressing them. My comments were to all who are in the comment stream who it applies too. To do otherwise sows discord. That is my point. I agree that Dr. Klouda was not treated rightly. I do want to know though... Do you believe there is provision in the Holy Gospels for any Christian to treat Dr. Patterson like he is being treated? Musn't we also treat those who do wrong... right? Absolutely, Jon! We must always treat people right. Does that mean we don't confront error and correct wrongs? It's the reason we correct our children. For their future good. 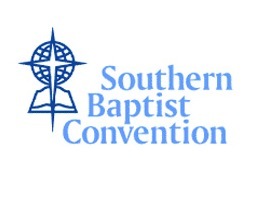 A course correction is needed in the SBC to protect our denomination's future. But always treat well the person receiving the correction. You correcting your children is not the same as what many online are doing to correct Paige Patterson. 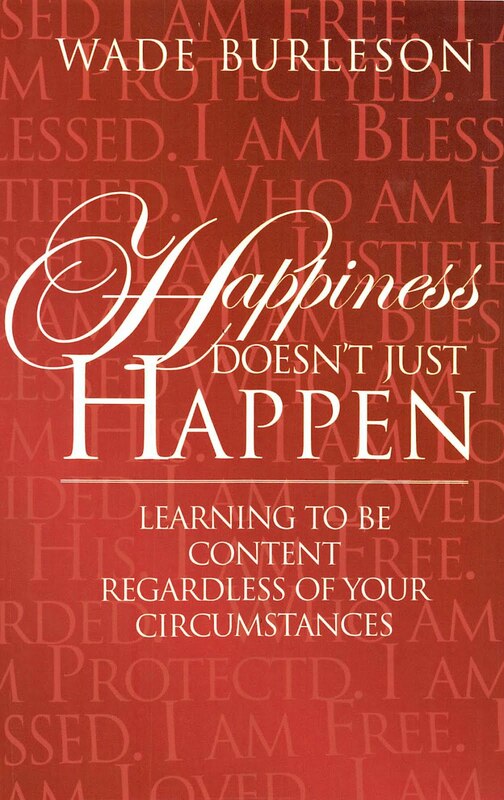 You have a role in your children's life to bring correction. I don't have such a role in the correction of your children, I wouldn't even attempt such... if I were on your side of the world. I do not know how so many people here have been given the authority or responsibility to bring correction to Dr. P. I am not sure the way we use the internet to convict and sentence someone else (who is a fellow believer) furthers God's kingdom. You are a very bright person and I think you can see that there is more than correctional demands of Dr. P being tossed about... Here on your blog and others. I am not here to defend Dr. P, nor will I condemn him. As I stated on another blog you replied to me on... My conversation will be with him, not the masses... if an opportunity is given. The convention needs to address the doctrine you once called complementarianism (correct me if I am mistaken) which Dr. P holds which you now label fundamentalist. An interesting switch of terms - maybe there is a reason I do not see. Although the switch does make it sound more terrible of a path to be on. It is obvious you do not speak for the convention on this issue but seem to want to use Dr. Patterson to see the SBC reject complementarianism full out. When is it biblically right to proclaim your theological differences with someone else publically and intentionally in an arena where the flow of thoughts run from give the guy a trophy to tar and feather him while we have a chance. Some may believe what Dr. P is being accused of hurts the evangelistic efforts of those in the SBC. Maybe... I do not know. I don't think adding to what he is being accused of in post after post and comment after comment helps either. How do we offer grace to the lost when we can't even seem to be gracious publically to those we disagree adamantly with? Jon Estes: Where were were you with the pious platitudes of "biblical" correctness and "grace" when Paige Patterson and Paul Pressler were burning down lives and ministries based almost entirely on innuendos and half truths for the sake of ambition and control. Where were you for any resemblance of truth when Paige was trotting around the country proclaiming that without adopting his shibboleths of "inerrancy" it would be impossible to be saved? Where were you when Paige Patterson violated his institution's charter with an ear to ear and berry-eating grin because it was "within his right as President to do so? Your nauseating appeal to show grace to a spiritual thug for the purpose of continuing his thuggish patterns shows where your concern lies truly ... And brother, it ain't with the "lost" nor the redeemed. As kindly as I know how to say it, the brand of Christianity you practice that defends the indefensible with the terminology of "grace" and "mercy" is repulsive to those who've watched this guy in action for the last 30 years. Best thing IMO for Southern Baptists would be the disappearance of the cult of Patterson into the "dust bin" of history. Additionally Jon, your phony ploy of sensitivity over Burleson's use of the term "fundamentalist" is laughable. You guys were proud of that label a few years back. I noticed during my years of attending SBC meetings that Paige always made his entrances surrounded by an entourage of admirers and google-eyed young preacher boys. At the meeting in New Orleans (1989/90) I saw several of the young members in his entourage wearing stick on name labels with the word "FUNDAMENTALIST" handwritten with bright red magic marker. They were wearing them as billboard badges of honor. Thank you for making my point. Now to my response. I was there in the midst of it all. I had front row seats. Nothing phoney here Scott. I am what I am. Nothing to hide. I never traveled with or followed Dr. P around but many of those who hung with Dr. P are fine ministers of the gospel today. Can you tell me what you think the wearing of the labels reflected at the time? I know. If you "know" then why do you require further input? I am wondering if you know. Your making a claim negative against people you do not know and giving them motives which I am not sure your argument supports. So, why did they wear the labels? Do you think it was to make a specific theological/doctrinal statement? These advocates for Patterson who now decry the use of social platforms for "trial and conviction" need to make up their minds about either the curse or the value of the technology. Why? Because the only time they see its value is when they are promoting their own ideological pronouncements. In a non-debatable format, they are the most prolific users of the technology. Put them on a level playing field where their ideas and beliefs are challenged and the internet becomes a "cesspool". Stifle dissent and eliminate debate is foundational to the perpetuation of their demagoguery. Can you imagine how Paige and the Judge might have found "creative" uses for social platforms had they been this evolved during the CR?. Don't be a fool, it's not the TOOL they have problem with. It's the distribution of biblical arguments against their pet dogmas and religious heroes that is most disconcerting. Jon: You have no knowledge of who I know or don't know. I do know Paige Patterson and have interacted with him personally. I do not know you and am content to keep it that way. Apparently, Paige acquired the level of influence he continues to possess today during those Convention wars of the 1970s and 80s. I was blindsided by all the controversy when my wife and I attended Southeastern Baptist Seminary from 1984-1988. Lolley was President at that time. We two were totally ignorant that there was a "controversy", "fundamentalist", "liberals" a Paige Patterson or Judge Pressler until we entered the seminary environment. We were blessedly naive until that time but soon were surrounded by the most wicked, evil, mean-spirited, war between professing believers on both sides of the camp, that we had ever witnessed in Christendom. Upon attending classes at Southeastern during those days, we understood why there was a significant segment of the SBC bent on reversing the trend of liberalism taking place in our seminaries. There was a definite need for the pendulum to be moved back to the "right". The cynicism toward Scripture, diminished emphasis on the world's need for salvation through Jesus Christ, increased promotion for liberation theology, etc., was very apparent in "some/too many" of the classes I took. The entire atmosphere on campus and a significant number of faculty were influenced by, and advocates of, this "leftist" mentality. But the viciousness of the battle that took place under the guise of "correction" could not be justified and it only increased even after the war seemed to have been won by the fundamentalist camp. We did lose a ton of conservative, outstanding professors, missionaries and institution leaders as the "baby was thrown out with the bathwater". Seems that Paige's power was acquired as his being the victorious general of that war and continues today. Unfortunately, from what I am hearing, he uses the same methods/tactics in all scenarios and manner of thinking that he used during that war. But that would not be surprising unless he had had some major change of personality and heart. Today I am again torn between the pros and cons of both camps of ideology as my wife and I had in seminary. We recognize the damage being done by those whose venue of control, authority, rigidity, and exclusiveness that was active in the "war" continues to wreak havoc on Christian civility in our Convention. At the same time, I cringe at the thought of our Convention returning to the Godless "leftist" influence that was apparent among our Southern Baptist ranks and institutions prior to that war taking place. Today I continue to be skeptical of those campaigning for women's rights in ministry and attacks against fundamentalist advocacy due to a fear of this being a possible indication of a rise in a "liberal" agenda. Impossible to say at this point, but I hesitate to jump wholeheartedly on the bandwagon of either camp due to my fear of our regressing in our emphasis on Christ-centeredness, the validity of Scripture, total dependency upon being "reborn" followers of Christ, etc. I don't see how anything in your statement about "freedom" even remotely touches upon the teachings of E.Y. Mullins. In fact, your pronouncements here actually reflect the antithesis of what the man taught. Thank you for your comments. I am praying for you. May you be blessed as you seek Him. Ha nothing to do with "authority" to speak. Has everything to do with "ability" to speak. RB: Can fear of "leftward" drift be assuaged by confidence in the power of The Holy Spirit to make necessary correction and practice in the life and mechanics of Christ's church (i.e. wheat and tares). If "correction" lies solely upon the shoulders of fallible men like myself or Patterson, then the faith we claim to possess is a ruse. We can "rest" in Christ. Likewise Jon. You have a nice day. Estes, one of these “four” was my brother-in-law. And there you have it. Thanks for sharing Rex. Sounds like a guy who might wear spurs along with his cowboy hat so he can RIDE those sheep. Interesting and sad story which I do not deny, though I know nothing of it but what you share. I can say this from my life. Dr. P was my President at two different schools (TX & NC) and had Dr. P as a professor on more than one occasion and I never was taught that nor did I graduate with such thinking. The many men I was friends with or knew from a distance didn’t come away with such thinking. At my last graduation, Dr. P stated that we need to remember we will serve churches where we have 150 bosses. Some well know SBC leaders were there at the same time and I cannot recall them thinking like the man in your story. We did have some kooks come through, as All good schools, led by good men do. Your words are a blessing. As caustic as many people interpret Dr. P’s words (which are being discussed here and other places), there are words being hurdled towards him, not by you, which just as wrong and some very hateful... IMPO. That such words get dismissed or ignored because these persons are not the target is more than sad. Well, there you have it! His words indicate, ‘It’s the congregation against the pastor or the pastor against the congregation’. Harbor’s story continued: I visited his church once. His sermon didn’t mention Jesus but was all about golf. He kept the congregation laughing so much, I wondered if Jesus might appear with a whip and say, ‘You’ve made my Father’s House a YMCA.’ Instead of an ‘invitation for Jesus’ he had his lady therapists come up on the stage and demonstrate how she had him lifting weights to help the pain in his neck from swinging a golf club. 4.Consequently, they have been denied SS literature and a Christmas party. The year my brother-in-law was elected “Citizen of the year:, Harbor was asked to resign with $500,000 if he left quietly, but he wanted a million. He was fired with nothing, and took about a hundred members who had drunk his ‘cool-aid’ and started another church. Within a year he became a lawyer. I'm sorry. I erased my comment before I saw your reply. I read it and although my intent remains the same, I thought I did not emphasize the need for God's mercy on ALL of us together, including Dr. Patterson. I feel sorry for having erased it rather than try to clarify my statement. I've much on my mind, so please forgive my confusion and thank you for your kindness in your reply. I do remain so encouraged by the conversion statement of Dr. Criswell. I hope he was sincere and I have no reason to suspect him of insincerity. If the Good Lord can change his heart, then there is hope for us all, including hope for Dr. Patterson. Thank you again for your kindness. God Bless! Looks like it all boils down to the number of those who have horror stories about Patterson and those (outside his employ) who don't. Purely from the perspective of "Kingdom Politics" that is. Sorry... but that is not what he meant. He spoke further on our role as servants of Christ to the body of Christ. 2nd sorry... but you can’t blame Dr. P for the behavioral choices of Harbor. I think it was in the article you linked on this that mentioned he had ADD. Do you blame Dr. P for that also, or could that be a cause for such behavior? Dr. C was a great man. I went to the school that bears his name. Had opportunity to meet him a few times. He and his wife knew my in laws. Enjoy the day. Mine is coming to an end. In 1944, he was called to be the pastor of 1st Baptist Church of Dallas after a pulpit committee heard him preach at a youth encampment my twin brother and I attended when we were 12. I was saved at 10, and he was saved at that encampment after our counselor asked all the boys to leave because he wanted to talk to the ones that weren’t saved. My brother walked to the front to confess he was saved after Criswell finished his sermon. I went with him. Many years later our pastor gave a group of Korean Christians a tour of 1st Baptist. Afterwards, they were confused and asked our pastor if the members worshiped Jesus or Criswell since they’d seem so many portraits and statues of Criswell. In 1990, First Baptist Church of Dallas called Joel C. Gregory as pastor. Gregory served as Pastor while Criswell took the title Senior Pastor. Two years later, Gregory resigned indicating that the intended succession of Criswell had not taken place. I believe if Patterson retires and lives on campus, the next President of SWBTS will be in the shoes of Gregory. Jon, you asked if I blamed Patterson for causing Harbor for having ADD. You sound like a drowning man clutching at a straw. Be careful who you choose as enemies, you may need them as allies. Be careful who you choose as allies, they may at some point become your enemies. Calvinists and Fundamentalists... both crack me up with their antics. Now they have pics of the whole faculty at Southwestern wearing black cowboy hats. O.K. Corral time in Tombstone. "RB: Can fear of "leftward" drift be assuaged by confidence in the power of The Holy Spirit to make necessary correction and practice in the life and mechanics of Christ's church (i.e. wheat and tares)." Scott; It would have been nice if the Holy Spirit had simply dealt with the "right/left" controversy in the 1970s through today so fallible men would not have felt they had to get involved and behaved like pitbulls in a dogfight. Always a tough call to make as to whether to get involved and then determining how. No grasping at straws. I was using a linked article you posted where Harbor said he had ADD. I was hoping to make the point that not all people who do dumb things and are somehow connected to Dr. P mean Dr. P is guilty of those dumb things. I was saying this because Dr. P is getting blamed for things he has no involvement in... such as the Harbor mess. What about the things he's gotten smoothly away with Jon? They stand apart from false accusations. The man is getting exactly what he served up and it's time for that. I never followed their imposed dogmas RB. Paige once declared that without the proper view of "innerancy" a person cannot be saved. Said it in an interview with the Atlanta Journal Constitution back in the mid nineties. When he was called on it he accused the staff writer of the AJC of lying. The reporter provided a transcript of the taped interview. Guess who lied and guess who still can't produce any original autographs of scripture to support his views of "inerrancy"? I am unsure of what you speak of and that’s ok. This I promise you. If it is anything anti Dr. P, I will be glad to talk to him about such if opportunity arises. I will not talk down about him to you. That I believe is sin. Do you deny that the Bible is inerrant? One of my favorite quotes from any Baptist Theologian (a former Dean of Theology): "I AM an inerrantist! But I'm a SANE one!!" "It depends on what the meaning of the word 'is' is,"
I may have mis-formatted a quote that led you to think that Scott was responding to your question on inerrancy. The snarkiness is not from Scott. It is actually just a lame attempt to interject some levity. Well Estes, there you have it. Inconsistencies will turn into illusions. Germans used “Heil Hitler” to be accepted. Saying you believed in ‘Inerrancy’ got you accepted by the C/R takeover Fundamentalist. You actually need to "know" a little more. so, who was the one true pastor who was 'without error'????? “Worthy are You to take the scroll and open its seals, because You were slain, and by Your blood You purchased for God those from every tribe and tongue and people and nation"
maybe it's best to read the Bible from Revelation backwards, to understand through the lens of the One Who was 'worthy' because He had been slain? Inerrant is not a word in Scripture, but Revelation Chapter 5 offers something truly worth thinking about, if people want to view 'the scroll' though the lens of 'the Lamb Who was slain', yes. Thank you for your comments. I am sure, as Scott said, I need to know a little more. I am sure though that I know enough. May you find blessings from God’s Word, no matter how you approach it. I have no need to discuss or debate what you do not believe about scripture. For me, if inerrant is not a descriptive of scripture we can use, then how can we be sure any portion of scripture we state to make a point we want to make is not an error? Enjoy your evening. It is early here and I’m just getting up. Then why did you bring it up in the beginning silly rabbit? Trix are for kids. Not an issue of preferred non-biblical terms in theological discourse Jon. Is more about the intolerant dogma of one man in his subjugation of women and his total lack of respect for orthodox Christians with whom he disagrees. You have a pattern of piously changing or deflecting subjects in midstream. Is a sign of lack of confidence. Lucky you are interacting with a bubble-gum theologian in me. Otherwise I fear you would have been rended literally in many pieces. I meant figuratively rather than literally. My mistake. Fundamentally, Wade, you're going to have to confront the fallacy of landmark Baptist theology as the cornerstone of the true church. My name is Wallace Rowland Jr. I would like to agree 'that the real problem in the SBC is not Mr. Patterson.' I attended the church he pastored in 1971 as a college student. It was OK. Just prior to that, I had an encounter with Jesus. The Jesus who is actually, literally, physically alive. Like those on the Emmaus road, my heart did warm within me. What I literally know about Jesus did not come from the Bible; it came from Jesus. I called out in desperation to Jesus and He answered. He still does. Jesus is my King and obviously, my authority! I am dependent upon Jesus to teache me the Scripture by His Spirit. Jesus sent my wife Alexis and I, as missionaries to love on the students at Southwestern Seminary from 1996-2008. I was at Southwestern 7 years before Mr. Patterson arrived and 5 years after. My personal observation is that, very little changed! Even though, it is was controlled by a very different denomination from within the SBC, very little changed in terms of spiritual fruit. Maybe I wasn’t there long enough to see it. Of course, the theology and polity changed; it had too. From the beginning, the SBC was a cooperative of denominations with differing doctrines. But they tolerated each other theologically in order to pool financial resources to finance professional missionaries and physical plant. But once the motivation for their “unity in doctrinal diversity” began to diminish in the 1960’s, so did unity. Humanly speaking, the present civil war is natural. There is war, because some denominations in the SBC consider these doctrinal differences are life and death. In 2007, behind closed doors, at least three of the warring conservative denominations ranted about the heresy of the other denominations. That is what makes them different denominations. They have since mellowed a bit. That is strange. However, they continuously, publicly deny that there are profound doctrinal differences among its denominations (like what is the Gospel?). They continue the “unity in doctrinal diversity” chant. Why? I have no word from Jesus on this matter, but it appears to me that Mr. Patterson is simply being faithful to his personal interpretation of his authority, as he leads his troops. It also appears from their past actions, regardless of their obscure connection between Jesus and biblical interpretation of previous BF&M’s, that this was same approach past denominational leaders practiced before Patterson. Here is something else that is strange. Has Jesus actually told anyone that Mr. Patterson is the problem in the SBC? Here is a better question; has anyone even asked Jesus, what the problem this? Has anyone even had a literal reply from The WORD OF GOD on what is happening in the SBC? You have done it again! You have attempted to express your emotional self in writing and have clearly confounded the essence of what you were trying to convey. You appear angry, flustered, and flummoxed, and have made inflammatory comments without evidential support. By taking up an offense for the honor of another, it appears you have unknowingly been seduced by the very demons you are trying to assuage! The next time you offer a ponderation that you might need to repent of, at least find out how to delete it before you post it! Maybe, you should repent of blog-a-rama, all together. Now, go take your medicine, because your ‘Honey Lov’ is calling you to take out the trash.